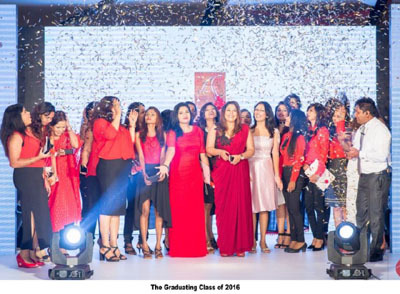 British Cosmetics held its annual student graduation at the Hilton Colombo Residences. The evening also saw British Cosmetics celebrate its students’ graduation with a fashion extravaganza in line with its credo to celebrate learning and its success. The trainers of the British Cosmetics Academy, Nail Techs and the Salon Staff of British Cosmetics also added colour and vibrancy to the evening with a ‘Cut and Colour’ segment, which featured the variety of British Cosmetics’ portfolio of colour products. The celebratory soiree culminated in a spectacular ‘Evening Wear’ section by Ruchira Karunaratne of Rebel, and an equally breathtaking ‘Bridal Collection’ by Karunaratne and Michael Wijesuriya.